Vitamins are extremely essential entities for a healthy body. Vitamin B-12 is one of the crucial vitamins the body requires. Failing which the body responds in the form of fatigue, depression, digestive problems, a defective vision and many other health scares. Vitamin B-12 deficiency can be controlled via testing. 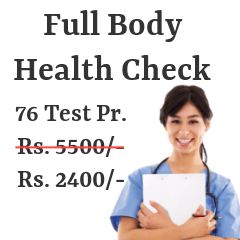 Tests for the same are available at diverse diagnostic centers in Bengaluru. Rates of Vitamin B-12 tests are enlisted ahead. Read on to get information about medical centers that would be most easily accessible to you. Following are the Vitamin B-12 Test centers from most reputed pathology / radiology labs in Bengaluru. Home Sample Pickup (Free) All Over Bengaluru. No. 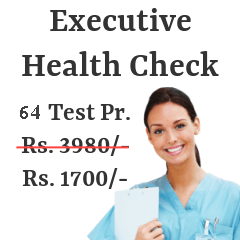 67, BGS Health & Education City, Uttarahalli Main Rd., Off Mysore Rd. No. 136, 1/1,, 17th Main Rd., 3rd Block, Rajaji Ngr. Vitamin B-12 tests are done by the hospital or diagnostic center through a generic blood test. Blood is taken out from a vein or fingertip and then sent to a laboratory for proper analysis. Reviewing the results with your doctor makes the patient aware as to what all foods are needed to be included in their diet. Such dietary changes come into the picture if results show that B-12 levels do not match the ideal standards. Vitamin B-12 helps the body in fighting cardiac illnesses and few cancers. Not only this, but this vitamin is also useful in staving off serious mental disorders like depression. This means that vitamin B-12 is indirectly protecting your brain from getting damaged. Maintaining optimum Vitamin B-12 levels in your body is as important as having a healthy heart rate. Vitamin B-12 levels can be maintained with the help of supplements and sources like fortified soymilk, eggs, pork, lamb, beef, haddock, poultry, yogurt and many more other foods. People who are purely vegetarian can receive their share of vitamin B-12 through nasal sprays and over-the-counter available drug supplements. Vitamin B-12 levels below 150 pg/mL are considered as low; 200 to 600 pg/mL are considered normal and 800 pg/mL are high. People with low Vitamin B12 levels risk suffering from nerves and brain cells damage. Whereas higher levels may put you at a risk of cancer. Thus maintaining an optimum level is important. 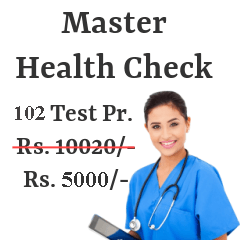 The above mentioned list contains rates of diagnostic centers in Bengaluru that offer Vitamin B-12 testing. Browse through it to make a well-informed decision based on your requirements.